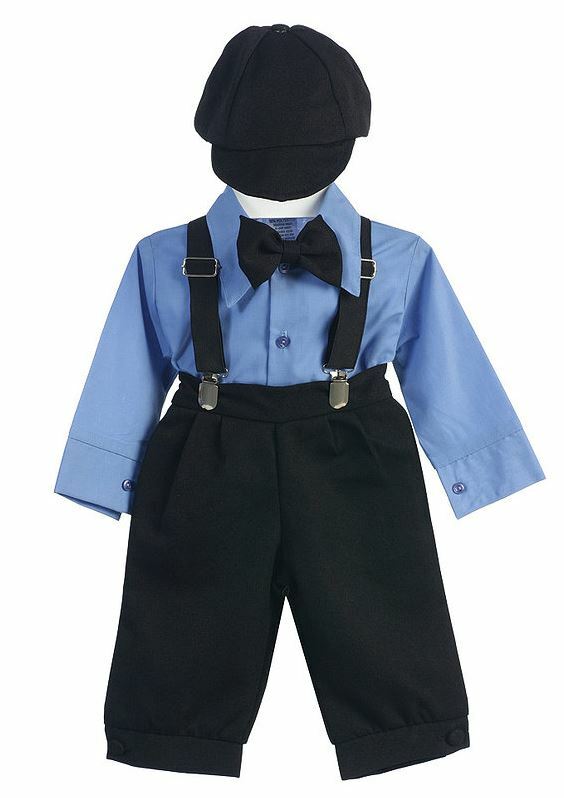 Handsome black boys pant set with rich blue button down shirt and suspenders. Matching black cap. Wonderful vintage styling. Perfect for more formal occasions.